Meet Keith of Castle Comfort Stairlifts. Since founding this family stairlift company in 1997, he has developed it to cover the whole of Scotland and the rest of the UK - with 42 regional offices or surveyors. Now, not only can you be provided with a stairlift via several manufacturers - there is an interest-free method of funding, which means you money can stay in the bank. Or simply, no saving up is needed to get a chairlift - whether it is straight or curved, immediately. It may well be worth checking on the possibility of getting a grant - but failing that (and needing the stairlift quickly) may mean an easy payment method is more suitable. Call Aberdeen (01224) 421214 to discuss this amazing stairlift offer explained below. And don´t forget to claim your fifty pounds ´web-find´ rebate using the coupon. If you are in the Edinburgh region - no problem, as with other areas of Scotland. Stairlifts Aberdeen - you searched for? Well, with cash often scarce there are ways of getting a needy gadget to keep you or your loved one safe on the stairs. A grant is certainly the most economical way and there may be surprising providers of assisted funding – have a look here. Next, if you find that not looking hopeful and the stair lift is needed within a few days then Castle Comfort bring an EASY PAYMENT SYSTEM which means the total cost can be spread out over a 12 month period without it costing you a penny more. 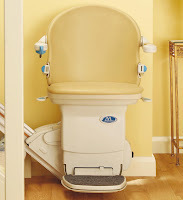 We repeat, it is a 0% APR offer, there are no hidden costs or fees and within a few days of a simple form being filled in – your stairlift can be installed! The scheme has been set up via an affiliate companion British stairlift manufacturer (which is pat of a major Scandinavian homecare products group) and is underwritten by Ikano which is part of the Ikea Group of companies, a trustworthy household brand Written quotes are provided on request before you make your decision enabling you to consult friends, family - or even a professional adviser to check how good and genuine this offer is. I saw this and thought it's about time me Uncle got one of these to help him on the stairs. He can afford it now. I'm not sure if you are open this late so I was wondering if the stairlift loan is taken out on the persons house as my gran might be interested but she took out an equity release scheme on her house 5 years ago so I don't know if you would still consider her for your finance? The stairlift finance on the loan is not taken out using property security. However, the undewriters take into account home equity - because if the client passed away before repayment - such equity would be needed to repay the loan. So if this person released substantial equity they may not technically own their home, in which case the application may be rejected. However, the borrowed amounts are so small in relation to an average house value it would probably be OK. We suggest you apply without obligation and almost certainly the stairlift can be installed pretty quickly. I work on the rigs but my ma lives in the town. Am I able to buy one of these over the phone with a card and you take care of everything til I am back? Absoluteley. We take telephone card payments for both the deposit if paid, and final payment. Sounds like you have done you Christams shopping for your ma from that rig! Stairlifts aren't that unusual as presents these days.